HomeCoolest Error Message ever – Anti-Folder views ! 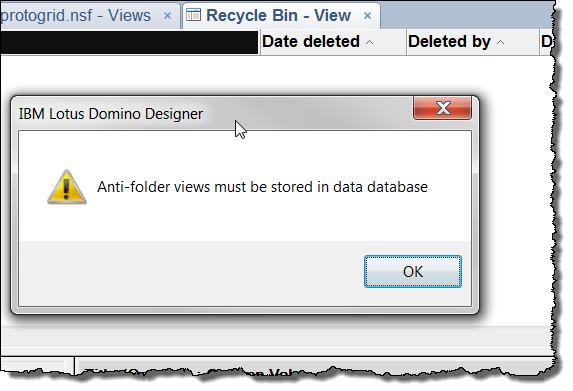 Coolest Error Message ever – Anti-Folder views ! Anyone care to shed some light on what it means?? Well I guess that explains why it occurs – but why is it called and Anti-Folder? I hope someone called it that just because it sounded cool. Good for a laugh today! We need to see that error pop up during a presentation…. We also only found the IBM doc but the described situations where this might occur did not fit to what we did when the error occured.